When you hold a deposition, it’s possible for the crucial attendees to participate, even if they aren’t able to physically be there in person. Many professional court reporting services offer teleconferencing and video conferencing solutions in San Jose, CA that bring the deposition’s conference room to you, allowing all vital parties to be active remote participants. Here are some of the primary benefits of using remote teleconferencing and video conferencing solutions for your next deposition. Many cases involve witnesses, experts, plaintiffs, defendants, and attorneys who are out of state. If you’re scheduling a deposition that involves an out of state participant, it isn’t always feasible for you or the participant to travel a long distance just for one deposition. This is particularly true when one of the attorneys or one of the parties to the case is out of state, and will need to be included in every deposition that is scheduled. Court reporting services that offer legal videography and video conferencing allow you to easily include any necessary participants who happen to be out of state. When working with deposition participants who have incredibly busy schedules, such as expert witnesses, it can often be difficult to find a deposition date that works for everyone. It’s much easier to schedule a deposition of a busy medical expert or forensic psychologist when the person doesn’t have to travel to a lawyer’s conference room to attend. You can quickly and efficiently schedule legal reporting services for your deposition, including video conferencing or teleconferencing services, to ensure that your deponent isn’t pulled away from his job for longer than necessary. 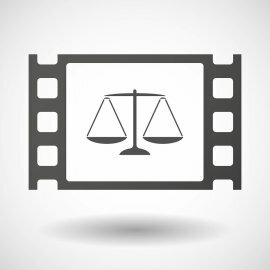 Allowing deposition participants to join the deposition remotely via teleconference or legal videography can save your firm valuable time and money. Scheduling depositions will be much faster and easier, you won’t have to spend time or money traveling to the deposition location, and in some situations, expert witnesses will charge a lower fee for their remote deposition testimony. When you are getting ready to have a videoconference for a business meeting, it is important to dress professionally and present a neat, tidy, and clean appearance. Your appearance provides the first impression to your peers and you want to make sure you look professional. Women should not wear something that is too short or too low-cut. They should also avoid wearing too much jewelry that might make a lot of noise and provide a distraction. Men should trim their hair and wear clothing that is freshly pressed. Check out this video to learn more about how to dress before your next videoconference in San Jose. When you look the part, it helps you gain confidence in your ability to do your job.